Bolivia Religion. Bolivian Traditions. Bolivia Culture Customs Beliefs. In Bolivia religion is an important part of culture and customs. Many Bolivian traditions, holidays and festivals are religious, usually Catholic in nature. However, Bolivia is very multi-cultural. 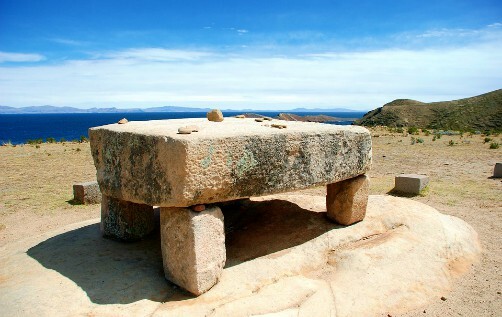 There are nearly three dozen different indigenous cultures in Bolivia, each with its own set of beliefs and customs, and many of these still worship or pay homage to their ancestral deities. The main religion in Bolivia is Catholicism. Over 80% of Bolivians profess to be Catholic. However, this was imposed upon the native ethnic cultures when the Spanish arrived to colonize South America in the early 1500’s. Franciscan, Dominican and Jesuit priests traveled to South America in large numbers to evangelize to the indigenous groups encountered. The native cultures of the western Andean highlands were mostly enslaved and made to labor in the silver mines of Potosí and Oruro. They were forced to adopt the European clothing of the era as well. You can read more about that in our section on typical Bolivian clothing. In Eastern Bolivia, which is mostly covered in tropical forest, the Spanish encountered over two dozen other indigenous cultures such as the Guarani, Ayoreos, Chiquitanos, and Moxos. The Jesuits in particular organized the native cultures into towns that are known today as the Jesuit Mission towns. They taught them the Catholic religion and how to fashion and play the musical instruments of the Renaissance era and to write and sing Baroque music. Today, these towns still thrive on their musical traditions and the International Baroque Music Festival, which takes place in over 20 Jesuit mission towns simultaneously over a period of ten days every 2 years, is one of the most cultural tourist attractions in Bolivia. The native Bolivian indigenous cultures, however, did not forget nor set aside their religions, or better said, beliefs and customs. They simply mixed them into the Catholic religion and continued to practice them, much to the chagrin of the Catholic Church. In Andean Bolivia, for example, the Quechua and Aymara often pray to the Virgin Mary and the various Catholic saints, participate in religious processions during Bolivian holidays and festivals, and simultaneously offer sacrifices to the Pachamama (Mother Earth). A good place to learn more about their practices is the ‘Mercado de las Brujas’ (Witch’s Market) located right along the side and behind the San Francisco Cathedral. 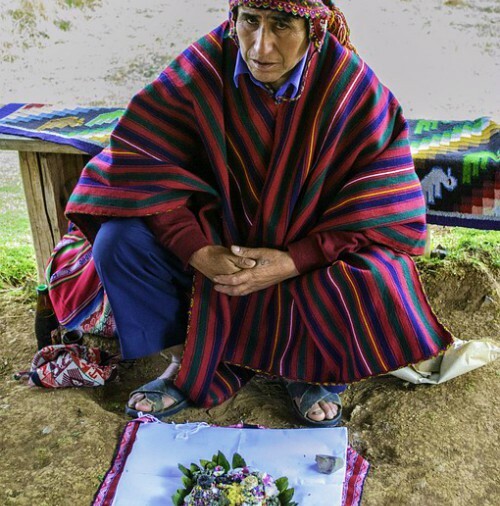 The Kallawaya (Aymara medicine men) not only travel around the highland towns to cure people who are ill, they burn offerings and lead prayer rituals. In Eastern Bolivia, for example, the Guarani meet yearly for their main festivity, the Arete Guazú, where they dance while wearing their ancestral costumes and masks, pray to the grandfathers, and pass on their legends and customs to the younger generations. Most of Bolivia’s ethnic groups are animist (their deities are animals or birds) or worship important landmarks, natural resources or celestial bodies such as mountains, the sun, the moon, and others, as their deities. Their beliefs and legends were handed down in the form of oral histories for over 400 years while under Spanish rule. Today, with Bolivia’s first Aymara president (Evo Morales) in power, many of Aymara and Quechua are abandoning the Catholic religion and returning to their ancestral rituals. In addition to Catholicism, various protestant and other religions are gaining strength in Bolivia. The Mormon Church (the Church of Jesus Christ of Latter Day Saints) is present in every major city. Bolivia is also home to the largest concentration of Bahai believers in the world. Jehova’s Witnesses, Baptists, Lutherans, and other evangelical religions are also present with large churches and many missions. The Mennonites are another very large and very religious group that has settled extensive regions of Bolivia, most of which are in southeastern Santa Cruz. Oriental cultures, such as the Japanese and Korean communities practice their religions, as do the Jewish and Muslim communities which are small, but also present in Bolivia. Some groups have formed interdenominational (mixed religion) churches, especially the North American and European communities of expats and immigrants which can be found in the three major cities of Bolivia. You can read more about these on our page about churches in Bolivia. Bolivia’s current socialist government, and especially indigenous president Evo Morales, has hinted at abolishing religion, or at least the Catholic religion, and has stated that religion must be kept separate from the Bolivian government. This has caused great tension at this time between the Church and the government, and among a large part of the general population. However, as most of the population, including the indigenous population, still professes to be Catholic, it would most likely be impossible to actually put that into practice. Bolivians of the Catholic religion are enormously devout. 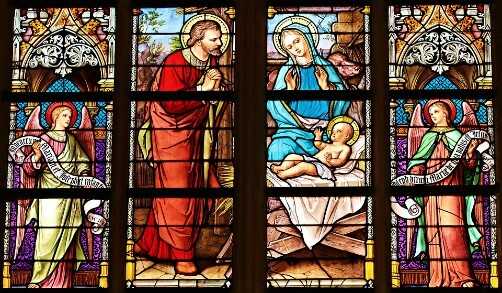 Even though many practice their faith only on important religious holidays or during Catholic festivities, they get very alarmed when the government clashes with the church. For example, president Evo Morales recently decreed that the Aymara New Year, celebrated on the 21st of June each year, is to be a national holiday. In a country of 10 million where only 2 million are of the Aymara culture, the remainder of the population protested greatly and feels that one culture is attempting to impose its beliefs upon all others. As a national holiday, employers must, by law, close their businesses for the day and those who do not will be fined and forced to pay their employees double salary for the day. The next day, Corpus Christi, is an important Catholic holiday but is also an Bolivian national holiday. The government intended to eliminate Corpus Christi and replace it with the Aymara New Year but much of the Bolivian population strongly protested. In addition, although in theory there is separation between church and state, Catholic priests are often called in to mediate in favor of the people when there are disagreements and protests against the government. People love and venerate their parish priests and the Archbishop. They are often successful in calming protests down and helping to facilitate dialogue. The Bolivian Constitution states that all people are free to adopt and practice any religion and belief system they prefer and theoretically guarantees freedom of religion for all; however, in actuality this law is not being equally applied or enforced.